This is a great weekend crockpot recipe because you can turn the "extras" into many different things over the weekend. The crockpot method makes the best pork sandwich ever (and there is lots of sauce in the crockpot to make them extra juicy)...plus you can turn the extra pork into tacos, or burritos, or pork and rice just to name a few. I like to make this recipe with pork tenderloin but any pork roast will work. Our market sells pork tenderloin in 2½ pound packages and there are two tenderloins in each package. Cut each tenderloin in three pieces. If you are using a pork roast, trim obvious fat and cut it into pieces about the size of your fist. Mix the dry ingredients (except for the chili flakes) and rub all surfaces of the meat; place, covered, in refrigerator for an hour or so. Brown the meat in a couple tablespoons of canola oil then put it in the crockpot. Mix the honey & dried red chili flakes into the barbecue sauce and pour over the meat. Cook on low for six or seven hours - every crockpot is different. To check for readiness, use two forks to see if the pork will pull apart easily. Remove meat from crockpot and pull apart with two forks. Stir sauce and put the meat back in the sauce to keep it hot. NOTE: It isn't absolutely necessary to put the meat in the fridge after you put the dry rub on it, but it strengthens the flavor. NOTE: Turn the meat over a couple of times during the cooking cycle...not absolutely necessary. Coleen...this is one droolishious Sandwich ! ...Everything about it...including that beautiful home made bun...is soooo scrumptious. I don't have a crock pot Coleen... but you have TOTALLY convinced me I can live without one NO LONGER....! Oh, this looks so easy and so awesome! 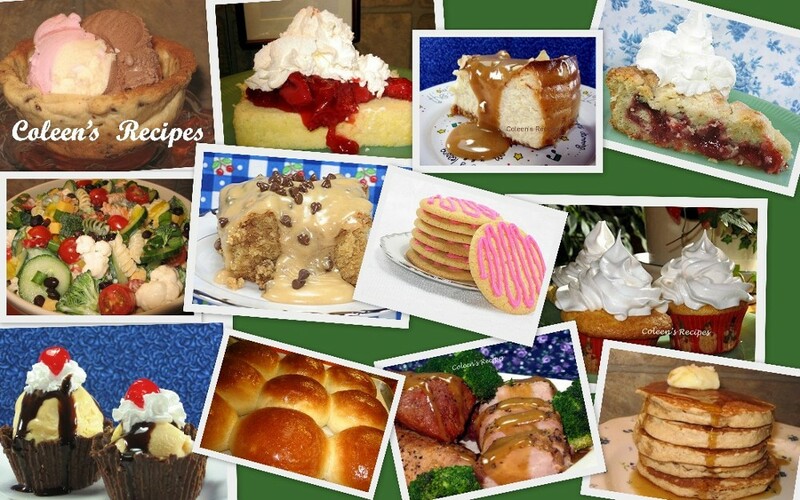 I can't wait to try it, and I look forward to seeing some Christmas recipes from you. It's 7:50 am and Im craving a BBQ Por Sandwich! YUM!!! This pork looks so juicy! yum. Mmmm...Coleen...Can I have a bite on the sandwiches? I like the new header, is that Ginger House done by you. So pretty! A sandwich like this is one of my favorite ways to eat meat. I love the simplicity! Boy, that not only sounds good it looks delicious. My husband loves BBQ pork. It looks delicious! It's a killer sandwich, Coleen. oh my goodness, how yummy! i love pulled pork! i love the gingerbread house at the top of your blog, so cute! This would make a fine addition to super bowl Sunday! I love BBQ pork and your version looks delicious! I'm also loving that gingerbread house in your header. I usually end up doing the simple graham cracker versions with my kids, but I keep hoping to try a real deal one, one of these days! Lol omgosh Coleen, I saw your Christmas is on it's way thingy when you left your message, clicked on it, and opened it up to you! That's awesome! I can't wait to see all your Christmas ideas. I was born on Christmas Eve, and get super excited myself. Oh this sandwich needs to go on a man food heaven site. 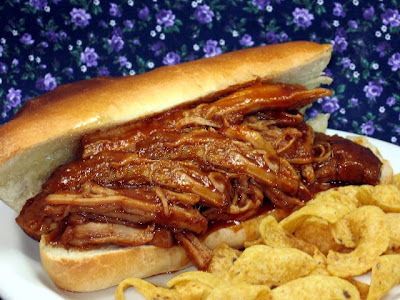 I love bbq pork sandwiches, and these look so good!